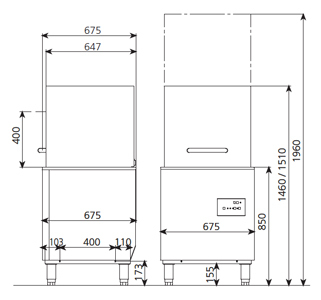 The Asber GEH500 Pass Through Commercial Dishwasher is a high-volume pass through commercial dishwasher perfect for the busiest restaurants, hotels and catering environments. 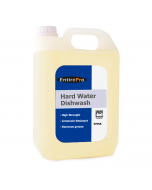 Utilising 3 phase power to deliver improved heat up and recover times, it can deliver a guaranteed wash at 60°C and hygienically safe rinse at 85°C every 90 seconds. 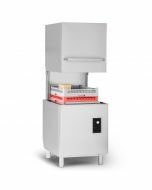 This GEH500BDD edition machine is fitted with a WRAS approved non-return valve, making it certified for commercial use in restaurants and catering. 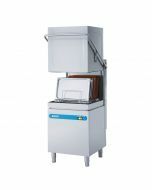 The Asber GEH500 pass through commercial dishwasher provides completely automatic operation with users able to select between either 90 second or 180 second wash cycles. 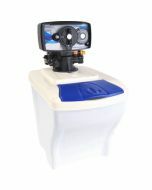 Automatic detergent and rinse aid dispensers accurately dose chemicals and an automatic drain pump is fitted to drain waste water. 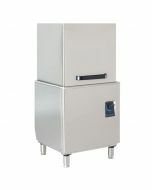 Combining high-performance dishwashing with simplicity and practicality, the machine features rounded tank corners to prevent grease build up whilst a stainless-steel wash filter traps food debris and protects internal components. All accessories inside the wash tank, such as wash arms, filters and jets are easily removable for cleaning. Thanks to 3-phase power, the Asber Passthrough dishwasher is well equipped to deliver near-continuous washing with outstanding heat up and recovery times. A double-skinned stainless-steel hood helps to prevent heat-loss whilst a high-powered wash pump delivers outstanding wash results, even though only 3 litres of fresh water per cycle. 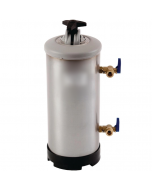 The GEH500BDD is supplied with a WRAS Approved non-return valve, reducing the risk of dirty water accidently backfilling into the mains supply. This makes the machine ideal for use in commercial and catering establishments of low to medium risk category, such as restaurants, cafes, bars and hotels. 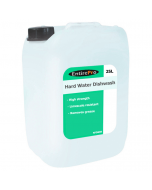 Independent tank heating and rinse booster boiler elements ensure wash water reaches 60c and a hot rinse is delivered at a hygienically safe 85c on every wash cycle, even with high-volume use. 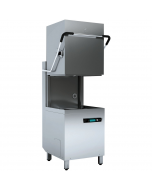 The Asber Pass through dishwasher includes a double-skinned stainless-steel hood, with ergonomic handle and counter-balanced weight operation. The plate basket runners can easily be adjusted to suit either corner sited or straight pass through dishwashing. An intelligent sensor monitors hood opening and closing to start operation automatically when required. 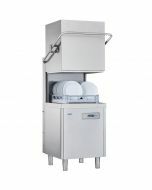 Featuring full stainless-steel construction, including stainless steel hood, stainless steel wash arms, stainless steel elements, moving parts and fittings, the Asber GEH500 passthrough commercial dishwasher offers outstanding durability. 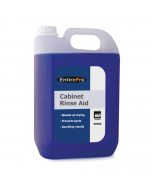 This tried and tested design is guaranteed to require minimal maintenance and offer a long lifespan, a promise of quality is backed by a standard 2-year commercial warranty.